Got the Drive for Success? 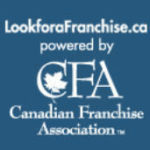 We have the the FRANCHISE Vehicle for you! LGI® Industrial & Construction Supplies is a world class Mobile Distributor of competitively priced, exceptional quality, industrial & construction consumables services and solutions. We are NOT looking for employees, but rather a Business Partners who want to earn a great income and build business equity with this high margin business model. We provide all invoicing/receiving, credit management and more! We have exclusive territories across Canada waiting for you.